Christmas trees are popping up everywhere and with so many gorgeous decorations. 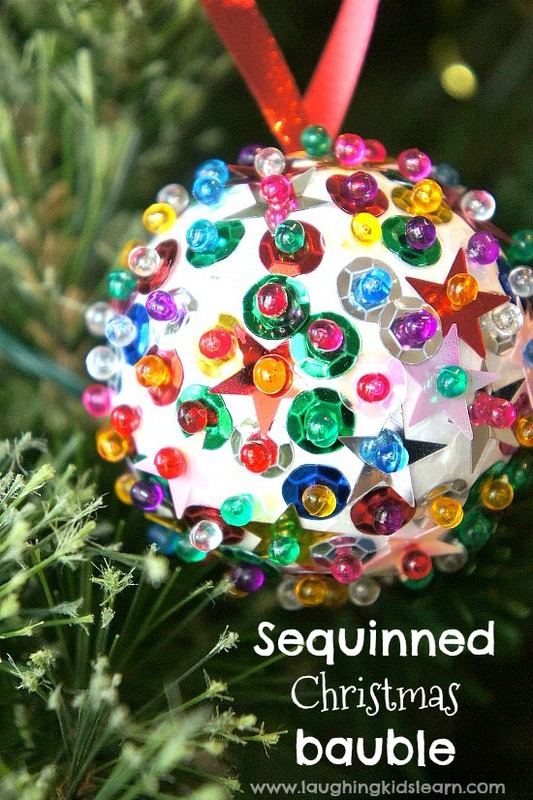 Here is a simple DIY sequinned Christmas bauble you might like to make with your child. The sparkle on the tree and last a life time. I’m always taken back to my childhood at Christmas when the girls and I open up my families old (now vintage) suitcase full of Christmas decorations. Inside it’s full of Christmas decorations all handmade over the years by myself and my sisters. 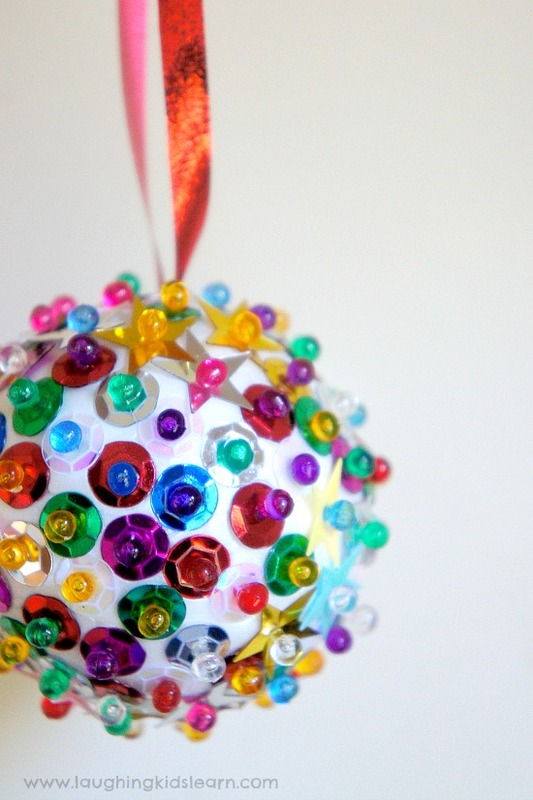 One type of Christmas bauble I have great memories of making were sequinned Christmas baubles. 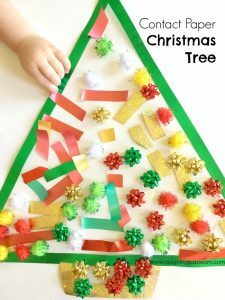 They were always a fun Christmas craft to make and looked gorgeous when hung on the branches of the Christmas tree. making memories that can last years! 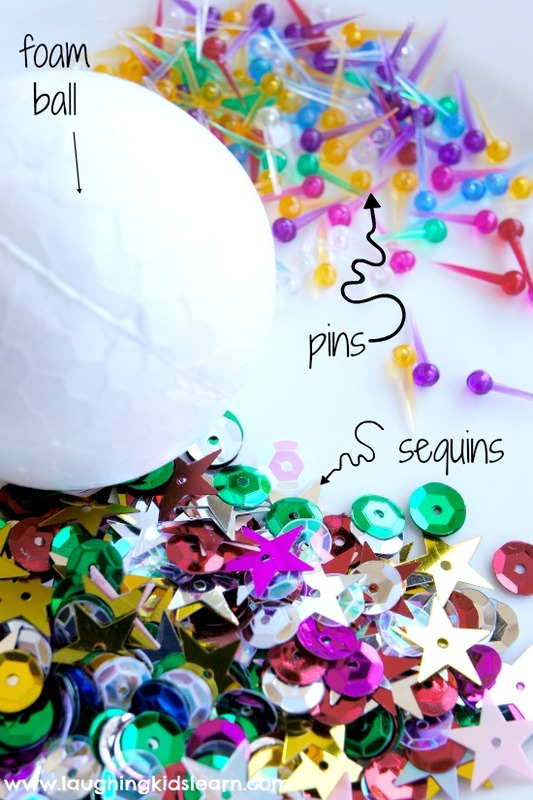 Poke a pin through the sequin and then push them both into the foam ball. 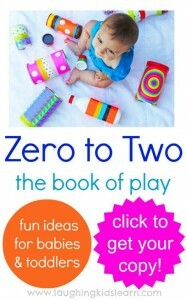 Children can cover the foam ball with the sequins and pins however they like. I recommend pinning in one line (as shown above) and then adding pins next to those that are already in place. 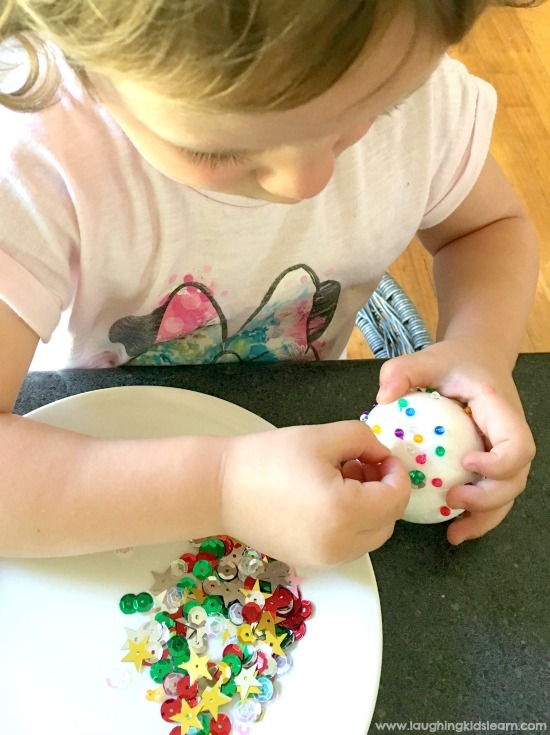 Christmas can be such a busy and crazy time of year and so it’s sometimes really lovely to give our children quiet time activities like this simple DIY Christmas bauble. Possum (aged almost 6 years) absolutely loved making her decoration and was proud to have it displayed on the Christmas tree. 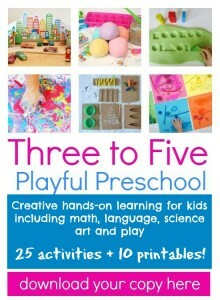 Of course this type of activity is also brilliant for building a child’s fine motor skills and creativity. 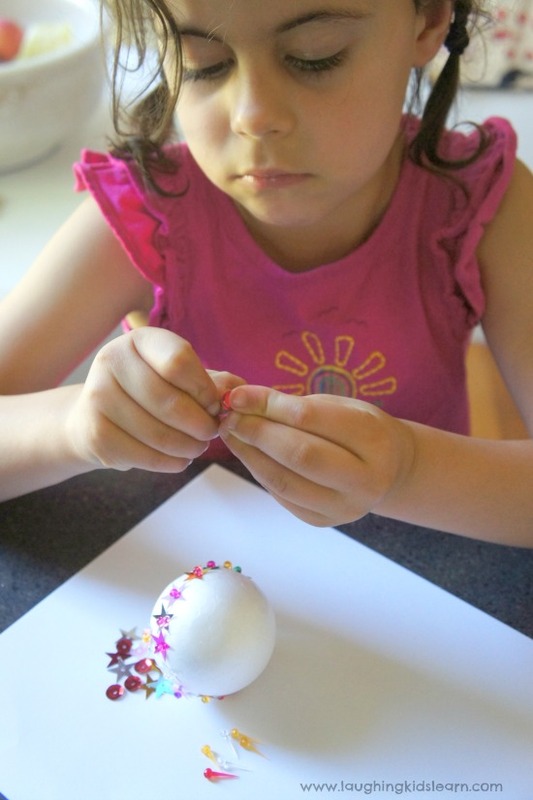 Boo (3 years old) had ome difficulty coordinating the sequins and the pins, then pushing them into the foam ball. After awhile she decided to just stick with the pins and ignore the sequins. The end result was probably just as impressive! You can simply use a pin to secure the ribbon into the top. 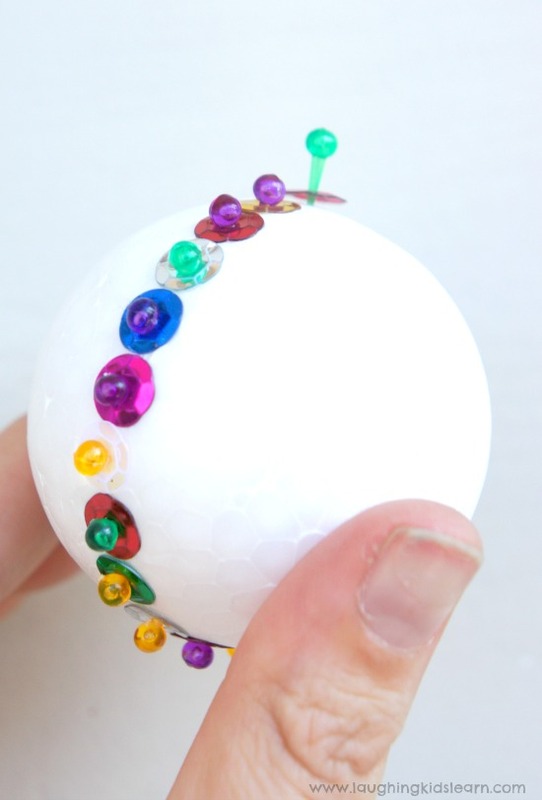 I, however, used a small knife to cut a slit at the top of the foam ball and pushed the ribbon in, which holds it securely in place. I remember doing it this way as a child. As you can imagine, these look absolutely stunning on the Christmas tree. They glisten when only the smallest amount of light touches them. 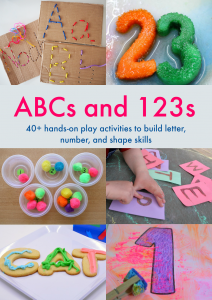 I loved making these as a child and it’s wonderful that I can pass this Christmas craft onto them. 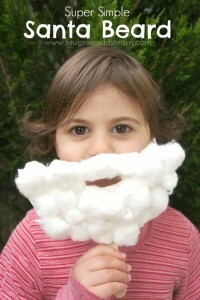 We will no doubt put these on the tree and enjoy them in years to come. 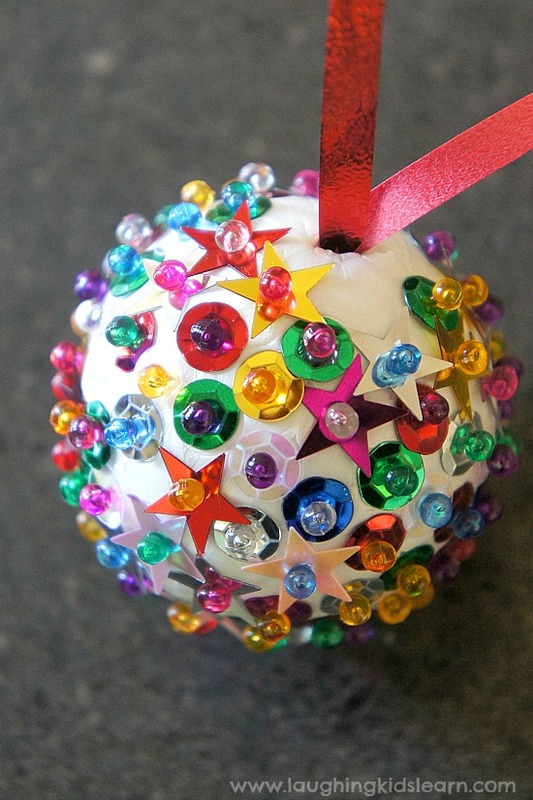 Would your child enjoy making these sparkly Christmas decorations? 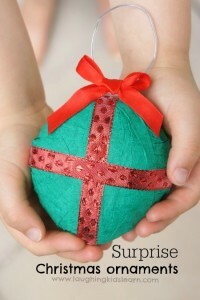 This christmas bauble is beautiful and Love your photography so much!!! Thank you! !